A story of Lucas the Octopus and his naughty tentacles! 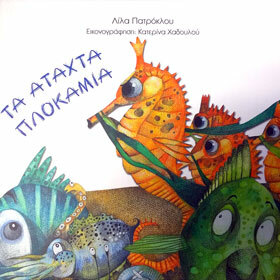 A funny story with beautiful illustrations by Katerina Hadoulou. Although most of our books are shipped within 24-48 hours, certain Greek titles including this one are in short supply and therefore may take 2-3 weeks for delivery. For Express Delivery of this book please contact us.